We are fortunate to have a high functioning, high capacity, healthy Board of Directors here at The Arc Volusia! Our Board of Directors serves to steer our organization toward a sustainable future by adopting sound governance and financial management policies. Our board members volunteer their time to serve our organization. Owner and Managing Director of Kermit’s Key West Key Lime Shoppe. John is a Retired Colonel from the United States Army, and holds a Bachelor of Science from the University of Maryland, and an MBA from New York Institute of Technology. John brings a wealth of leadership experience to The Arc, with particular expertise in marketing and operations. John’s voice of wisdom has led to increased efficiency and productivity – and greatly improved our financial bottom line. John has also served as an Adjunct Professor in the Business School at Stetson University. Attorney, Lankford Law Firm. 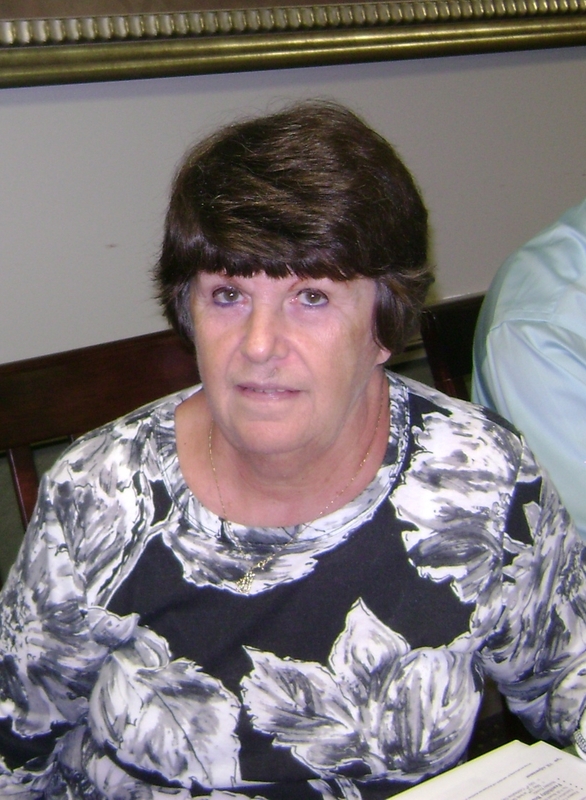 Melody has served as Board Counsel for The Arc of Volusia since 2013 and served as Board Chair from 2015-2017. Melody has been practicing law since 2004 and her practice focuses primarily on business/corporate law, intellectual property, and employment law issues. She has a Bachelor of Arts in Spanish from Davidson College and a Juris Doctor from the Florida State University College of Law. She is happily married with two daughters and resides in Port Orange. Melody is committed to serving The Arc to ensure that it continues to provide quality services and care to its clients while maintaining a positive workforce and healthy organization. President & Managing Director at Virtual Excellence, LLC; Partner and Chairman of the Board with Intellivance, LLC. Deborah has over 25 years of dynamic leadership experience in the public and private sectors. Her astute business development experience and strategic planning skills have made her a key member of our governance team. She served formerly as Sr. Vice President of Raydon Corporation, and was a legislator in the 19th District of New York State for eight years. Deborah uses her high energy and decisive leadership skills to help businesses advance their mission, and is seeking to develop software that will change the way people learn. Realtor, United Real Estate Preferred. Bob is a licensed real estate agent in the state of Florida and specializes in residential properties throughout the Central Florida region. Before becoming a real estate agent, Bob worked for three decades in the telecommunications arena where he managed a group of commercial account executives throughout the state of Florida and brings those years of meaningful business experience and background to The ARC Volusia. He has a degree in Business Management from the University of West Florida, College of Business and joined our board out of a desire to add value and make a difference in the community, and we consider ourselves fortunate to have him as part of our team! 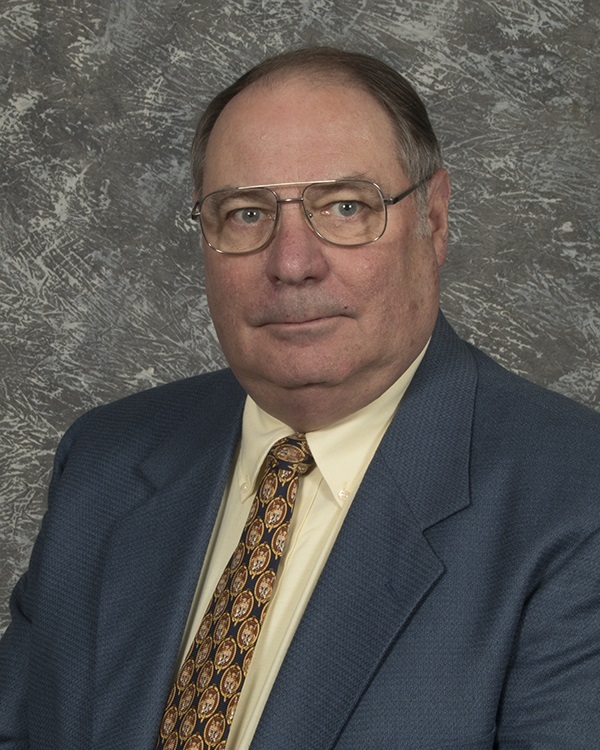 Director Emeritus – 2000. Brad is a longtime board member of The Arc Volusia – and has served as Director Emeritus since 2000. Brad has a Bachelor of Arts in Speech Communications from State University of New York. He is married and resides in Ormond Beach, Florida. Brad has demonstrated a long term commitment to The Arc Volusia, our mission, and the people we serve. His faithfulness and friendship are greatly valued. Self Advocate. Angie is a graduate of Boston Avenue School. Her hobbies include bowling, special gathering meetings, watching movies and listening to music. She loves attending our Labor of Love Camp every fall, and participates in programming at The Arc Volusia on a daily basis. Angie resides with her parents in Lake Helen, Florida. Retired Finance Manager, City Commissioner & Vice Mayor of Lake Helen, FL (38 years). Ann is very involved with her family and in her local community. She is a loving and devoted mother, and initially got involved with The Arc Volusia because she has a family member with I/DD. Ann’s hobbies include scrap-booking, card making, knitting, cooking & baking. She resides in Lake Helen and is married with 2 children. We are grateful for her role as an advocate and appreciate her unique perspective and leadership. Certified Public Accountant, Partner at James Moore & Associates. Mike leads the Accounting and Auditing Team at James Moore, where he is responsible for quality control, compliance with accounting and auditing standards, laws and regulations, and the development of internal training courses. He is a Lean Six Sigma Black belt, and provides lean six sigma services for clients representing several public and private sectors. His education includes a BS in Business Administration, with a Minor in Computer Science. Mike is a Director Emeritus with The Arc Volusia, and has provided many years of excellent leadership and service. Lead Pastor. Pete is the Lead Pastor & Founder of Thrive Community Church in Port Orange, FL. Pete moved to the Daytona Beach area in 1988 to attend school Embry Riddle, where he earned his Bachelor of Science degree. Pete later earned his MA form UCF in Counselor Education, with a certificate in Marriage and Family Therapy. He is a licensed commercial pilot, a licensed Mental Health Counselor, a community activist and an ordained minister. Pete brings an important personal perspective to the board, a voice for which we are thankful. Freelance Writer. Scott earned his BA in Advertising/Public Relations from UCF, and possesses over 20 years of Marketing experience in a variety of industries. He works as a Freelance Writer with clients across the country. 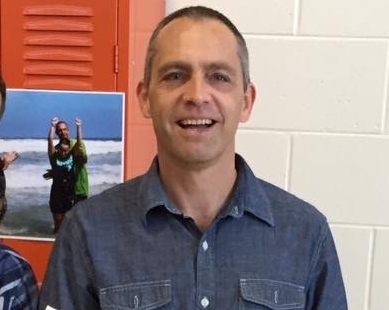 Scott has a passion for mission work in Central America and is excited to help make a difference closer to home as an Arc Volusia board member. Retired Arc of Alachua Executive Director. Steve has worked with people with disabilities since 1978 when he graduated from the University of Illinois. Steve has worked with adults and children with disabilities for over forty years in a multitude of settings across the country. Steve has been heard to say that he knew that this would be his chosen profession after five minutes working his first job in a Special Education classroom. Steve was the Executive Director of The Arc of Alachua County until his retirement in 2017. Steve came to The Arc in 1986 after working as a behavioral consultant for the Department of Children and Families Services. The Alachua Arc served 27 people and had a budget of just under two hundred thousand dollars when Steve began working there. When Steve left they served over 300 people, had 23 residential homes and a budget of over ten million dollars. Community Relations and Public Information Officer for the Port Orange Police Department. Evan Doyle is a life-long resident of the Daytona Beach area. Formerly a Volusia County school teacher, Evan now serves the City of Port Orange as the Community Relations and Public Information Officer for the Port Orange Police Department. 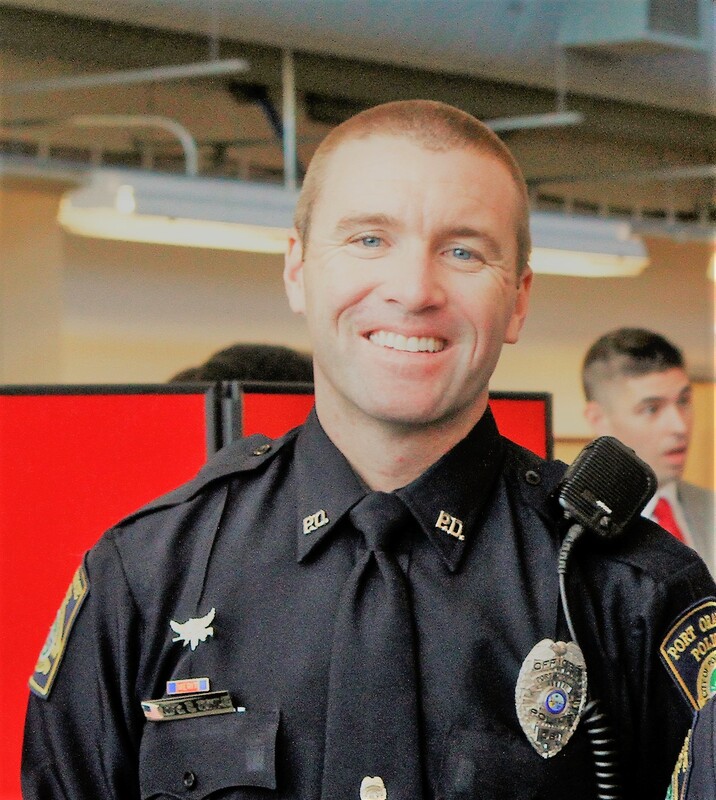 A graduate of Florida State University, Evan is currently working towards his Masters in Homeland Security and serves as an adjunct instructor at Daytona State College’s law enforcement academy. Most importantly, Evan is a proud husband and father, counting his blessings each day while trying not to let time pass by too quickly.